When convenience and comfort are paramount, SleepPhones and RunPhones, by AcousticSheep, $40, deliver the goods! Think headphones in a headband instead of in-ear buds or bulky on-ear headphones. The manufacturer refers to SleepPhones as “pajamas for your ears”. So true! Two others testers and I have been using wired and Bluetooth wireless versions for several months. Now that we are all significantly past any “honeymoon” period, it’s time to report. So often, when a product is new and the user(s) are inexperienced, initial impressions are not the same as after longer-term use. “Why SleepPhones and RunPhones?” is a loaded and obvious question. For those who use traditional earbuds or full-size headphones (“cans”) as a sound delivery mechanism from portable devices and who find no issues, the natural inclination would be to pass on this idea. Using these more intrusive products during sleep is another thing. During exercise, too, SleepPhones and RunPhones may be just what you’ve been missing on your spin bikes. Having used numerous high- and low-end earbuds, the common denominator is that anything placed outside of or in the ear canal can be uncomfortable, especially with continuous wear over long periods. In addition, outer ear buds can also be uncomfortable and do not stay in place for all users. Higher quality earphones or headphones have their place, to be sure. Standard headphones are just too bulky for all day active wear and unsuitable for sleep use. Headbands are made from stretchy and breathable fabric from mostly recycled materials, and, as indicated above, and washable (with speakers removed). Isolating the sound to the inside of your head only during sleep is another plus. For example, when your audio interests may not be shared with those of your sleep partner or dorm roommates, SleepPhones is a solution. While it’s easy to see the value to younger demographics, I suggest that older users, including Boomers, may find SleepPhones and RunPhones of particular interest and benefit. Some sound sources are best heard in both ears, including stereo music and certain content that delivers undetectable tones for relaxation. SleepPhones perform well in such circumstances. Here is a link offering FREE relaxation sounds downloads from AcousticSheep. Here and here are links explaining the benefits of binaural sound (not stereo as in music) to further bolster the advantages of soothing, therapeutic sound delivered to both ears. AcousticSheep also offers a free iPhone app. Search for “SleepPhones” in the iOS App Store. For many years I have extolled the virtues of C. Crane’s Pillow Speaker, a wired, soft-covered little gem that can be placed under one ear against a pillow or under the pillow. 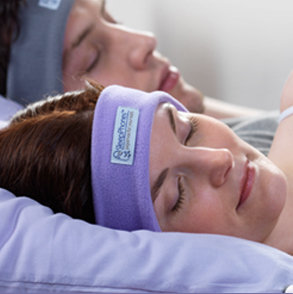 Still an excellent and recommended product, SleepPhones are different, as the headband should stay over both ears to direct sound regardless of tossing and turning and regardless of the wearer’s relationship to a pillow. You want product videos? Sure you do! They’re here. I am enjoying renewed convenience when listening to all manner of content through my iPhone plugged in to power at bedside. All the apps that bring in favorite radio stations, podcasts, audiobooks, live TV, Netflix, HBO GO and so much more are comfortably in both ears without inflicting my choices on my mate or disturbing her sleep. Wired models have a four-foot braided cord emanating from a Velcro® closure at the back/base of the headband terminating in a standard 1/8” headphone plug of the type that fits virtually any portable devices. In our experience, the wired version did not become entangled while sleeping, but we did find it necessary to have an awareness of the wire and to consciously avoid damage by untwisting the cord as needed, especially if a twist or kink is detected. In addition, the headband is often moved out of place directly over each ear as the use moves about in bed. This is not such an issue when worn out of bed. 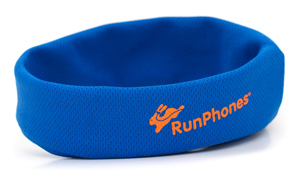 Speakers are movable along their path within the headband to accommodate any user’s ear placement. The $100 Bluetooth wireless model eliminates and tangling concern and any issue related to a cord from the user’s head to the attached smartphone or other source. Battery life has been surprisingly good, consistently at about 12 hours. Charging is via a standard, micro-USB port on the battery pack, accessed at the base of the headband through the same opening as on the wired model. Charge time is about five hours from fully depleted. Pairing was quick and easy. Both an AC adapter and USB cord are included. Note as you will from the company Website that there is also a $60 wired version that includes an inline microphone and another with inline volume control. Speakers and associated wiring are removable from wired and wireless models for easy headband washing. The Velcro closure could stand a better design. Both sides seem a bit flimsy and the hook side can easily become stuck to the headband material instead of its mate on the loop side. None of the samples has yet failed at this spot, however. 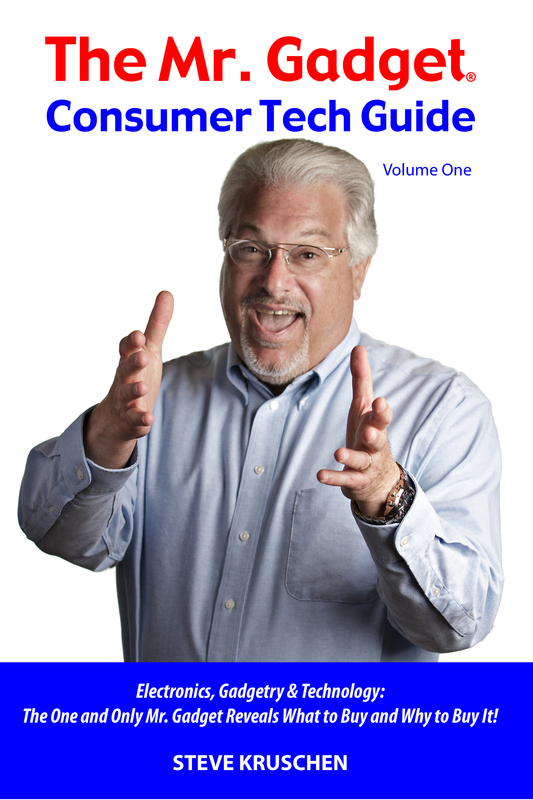 Sound quality is not going to wow anyone, but it is both pleasing and adequate, and gets the job done. Just remember that it is the product functionality and usefulness that is most important here. I offer congratulations to the designers for finding the best happy medium here. After a chat with founder and family physician Dr. Wei-Shin Lai, I came away mightily impressed, and educated on the challenges overcome to produce SleepPhones. They had to find flat and lightweight speakers that would not prove uncomfortable or bulky in the headband and that would still deliver “good enough” sound at an affordable price. It’s all about trade-offs. Perhaps as technology improves along with lower costs, a higher quality speaker solution will be found. Still, the company is not shy about innovating and improving their products, as has been the case since the first design. AcousticSheep will continue to tweak and improve, making running changes as warranted. Each tester found that the headband does not always stay perfectly in place with speakers perfectly positioned over the speakers. I, with short hair, have it easier than longer haired users when it comes to keeping the band in place. The shape of the user’s head is another factor determining the ability of the headband to stay in position and for speakers to be on-target. Hair clips may be useful in keeping the headband better aligned. After all, there is no standard head size and shape. Available in Small, Medium and Large sizes, see their FAQ’s for sizing information. Most users will find Medium to be the size of choice. Both products are offered in a variety of colors. Shop at the company Website links above, or search online. Amazon sells for a bit less than full retail on most styles. Here is the wired version and here is the wireless version from Amazon. Beware of knockoffs! They are not the same as these, the original, since 2007. For maximum sleep assistance, listen to relaxation- and sleep-inducing sounds that can be found online and played through a smartphone. For example, in the Music app on an iOS device, search “meditation” and “relaxation” as well as “sleep sounds”, and be creative. For those who may want to jump-start into the realm of relaxation sounds, AcousticSheep offers a few different gift packages that include appropriate sounds to help the user to relax and drift off to a restful night’s deep sleep. Have a look here. In conclusion, SpeepPhones and RunPhones from AcousticSheep are highly recommended.